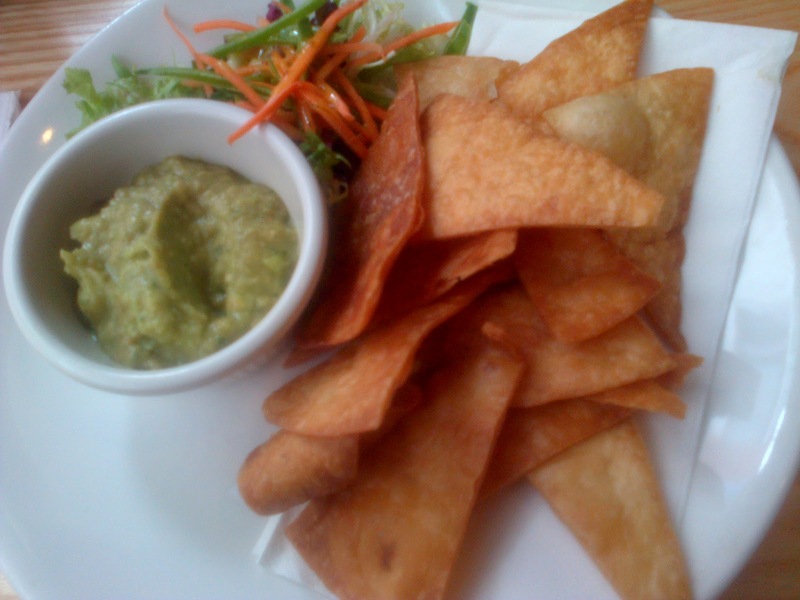 It was the memory of the tortilla chips that brought me to Cactus Jacks for the second time a couple of Sundays ago. After being served some really bland ones in a friends house the previous night I decided that I just had to head back to the place which had set the bar for me in that department some months previously. On that first visit they had been warm, flaky and unlike any I had before. In truth, they were really more like deep fried pastry and came with some beautiful chunky guacamole. Perhaps it was the fact that my most recent visit was on a quieter Sunday afternoon and they had been sitting around but this batch was cold and tasted slightly of rancid oil. 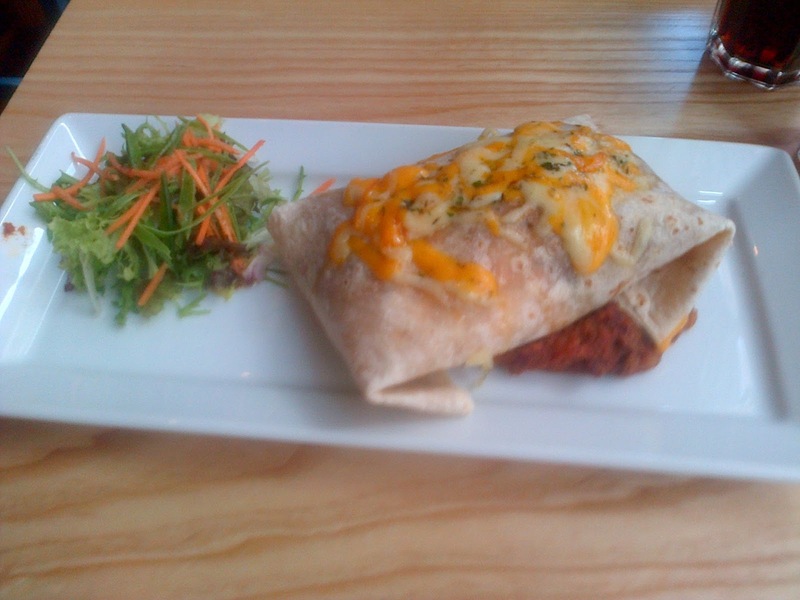 Not very pleasant,The guacamole was also different - this time pureed to a fine mush and strangely sweet. These were served as part of the special 3 courses for €20 menu. The lovely waitress was bemused when Keith told her he would pass on dessert (as it was included) and insisted he at least try something. He did, a Lime and Tequila cheesecake which he ended up finishing. 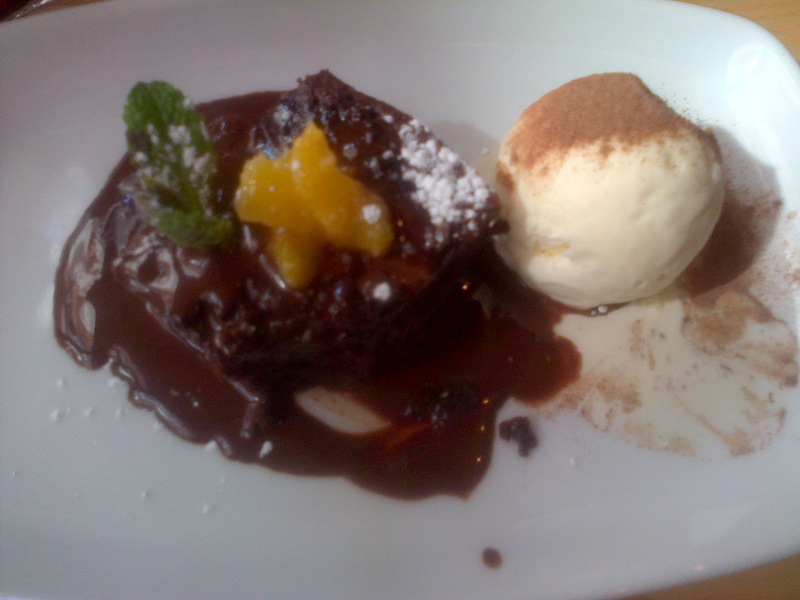 I went for the brownie, or what was really a decent square of soft cake with a chilli chocolate sauce and vanilla ice-cream. Cactas Jacks won't set the world alight is a good place to go if you want a super speedy three course meal(we were in and out in about 50 minutes). Just don't go on the strength of their tortilla chips. The floor to ceiling windows here provide the perfect opportunity to people watch both passers-by and sitting outside Lemon Jelly. Another big plus is its exceptionally attentive and pleasant staff.So, all in all, that €20 seems almost worth it.